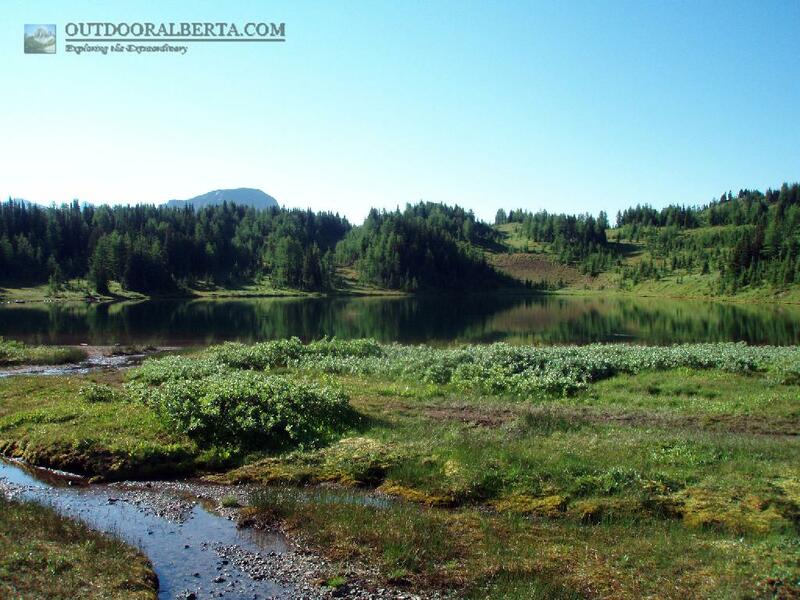 Howard Douglas Lake is located in Banff National Park along the Citadel Pass trail near Sunshine Ski Area. 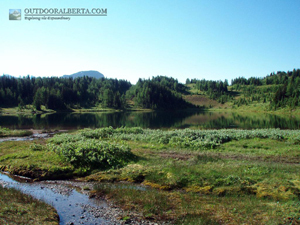 The lake is actually located next to a backcountry campground which is most utilized by those heading to Assiniboine Provincial Park. The lake isn't very deep with some shallow shore area but the water is clear. 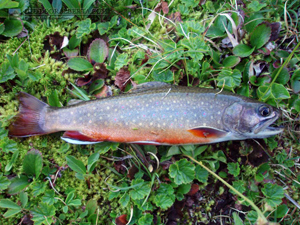 Howard Douglas Lake is absolutely full of hungry brook trout. Sometimes the surface of the lake looked like it was raining with all the fish rising. 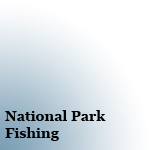 That said the fish here are small with most in the 8 to 9" range although I did catch one at 11.5". Catching these brookies was easy. I tried to use a large lure to keep the smaller ones off but since they were so aggressive this didn't always work.